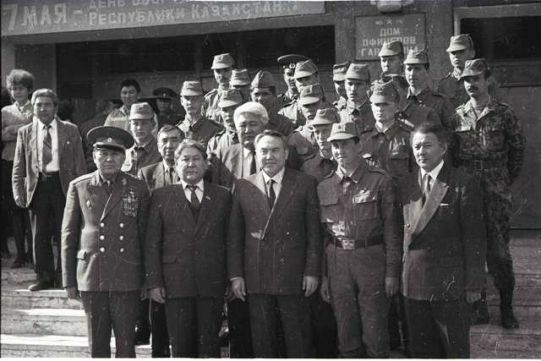 After the collapse of the Soviet Union the leadership of Kazakhstan faced with necessity to create Armed Forces. From the correct and balanced realization of this decision was depended not only the role and place of the state in the international community, but also the further development of Kazakhstan. The first step in the creation of army of sovereign Kazakhstan was the Constitutional Act on State Independence of Kazakhstan which determined that “the Republic of Kazakhstan in order to protect its independence and territorial integrity has the right to form its own Armed Forces”. On May 7, 1992, the President of Kazakhstan signed the Decree “On creation of Armed Forces of the Republic of Kazakhstan”. From that day all military units, which had been training on the territory of Kazakhstan, along with weapons, equipment and properties came under the jurisdiction of the Republic. Military-political leadership of Armed Forces is controlled by the President of Kazakhstan and the Supreme Commander of the Armed Forces of Kazakhstan. In the wartime the highest military-political leader will be the Supreme Command (Headquarters of the Supreme High Command). The Headquarter of Supreme Command of the Armed Forces manages Armed Forces through Joint Chiefs of Staff. Control of the Armed Forces in peacetime is managed by the Minister of Defense of Kazakhstan through the Joint Chiefs of Staff. First Minister of Defense of Kazakhstan was appointed the Colonel-General Sagadat Nurmagambetov. Today, the Armed Forces of Kazakhstan have a three-branch structure — Ground Forces, Air Forces and Naval Forces. There are four regional commands (“Astana”, “East”, “West” and “South”). The Reserve of Supreme Commander – Airmobile troops and artillery, also Rocket Forces have shown their effectiveness in practice. The Center of Management of Daily Activities of Troops was created. In 2007, in Kazakhstan was adopted the new doctrine. In the preparation of the documents was considered geopolitical situation, diagnosed the problems of military security and identified measures on releasing military forces to the new qualitative level. On October 4, 2012, the Parliament of Kazakhstan signed the amendments to the Law “On Holidays in the Republic of Kazakhstan”, according to the document May 7 was declared a state holiday and a day off. 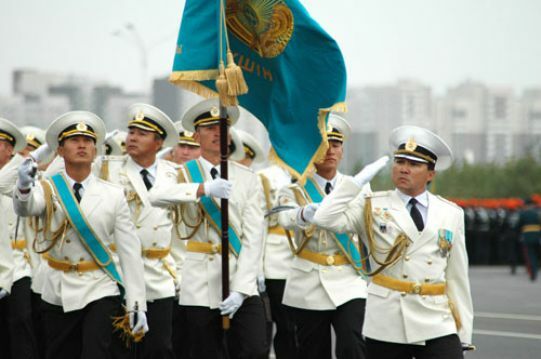 On May 7, 2013, for the first time in the history of the country was held the Military parade of Armed Forces of Kazakhstan. More than 7000 troops, 400 pieces of military equipment and more than 80 aircrafts and helicopters were engaged to the parade.